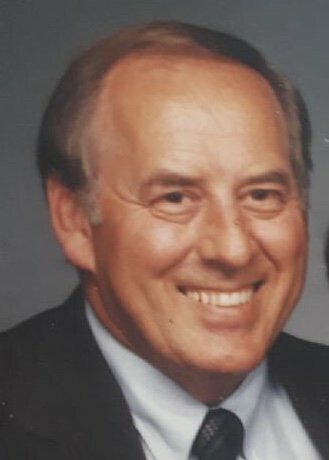 Joe H. Bryan, 84, passed away on July 08, 2018 at Rainbow Health and Rehab in Memphis, Tennessee. He was born on February 28, 1934 in Columbus, Kentucky to the late Ollie James Bryan and the late Inez Vi Bryan. Mr. Bryan loved the Lord and was very devoted to his church. He attended over thirty mission trips to Belize where he got to share the gospel. He was a Sunday school teacher, a minister, helped develop Lifepointe Village here in Desoto County, and even participated in the Kairos Prison Ministry. Mr. Bryan was a member of the VFW, Rotary, and he was a Mason. He served in the Army in Germany during the Korean War 101st Airborne God and his family were first priority in his life above all else. Mr. Bryan is survived by his two daughters, Christie Payne of Olive Branch, MS and Traci Mansfield of Olive Branch, MS; one brother, Gerald “Jerry” Wayne Bryan of Jackson, TN; five grandchildren, Joshua O’Brian Payne, Jasmine Lynn Wilkerson (Lance), Justin Robert Mansfield, Jeremy Tyler Mansfield, and Julia Rae Mansfield; and four great grandchildren, Marionna Alise Payne, Kodie Avery Payne, Isaiah Ryan Wilkerson, and Guardian Lynn Wilkerson. He was preceded in death by his wife of forty-nine years , Marion Evelyn Bryan; his parents, two sisters, and one grandchild, Jordan Taylor Mansfield. The family will hold a memorial visitation on Saturday, July 14, 2018 from 11:00-2:00 PM at Longview Heights Baptist Church with a Celebration of Life service to follow. Previous Frank L. Pittman, Jr.